Never in recent memory have I had less interest in the Man Booker Prize contenders. In years past I’ve knocked myself out trying to read all the short-list titles, not letting the fact I never managed to read them all stop me from forming an opinion as to who should win this coveted award. (At this point I generally crow about my accuracy rate. I’ll spare you that, and you are welcome.) But this year? I could not have cared less. I bow my head in shame. I still respect the award and will surely find the strength to care again next time around, but life chose to bestow a highly emotional experience on me which kept me from reading anything – until recently – much less the Booker contenders. Now that life’s settled a bit, knock on wood, my reading has resumed apace and I can have a look at Richard Flanagan’s work. If there’s one thing I hate it’s being out of the literary loop. Backtracking to read anything he’s written will be better than reading nothing at all. Until a couple of months ago, I owned a signed 1st edition copy of Flanagan’s Gould’s Book of Fish. Unfortunately, I sold it, along with a few hundred other titles, in the midst of the aforesaid upheaval in my life. I’ll try to buy it back, now that the man’s gone and won an award. Literature doesn’t have much of a following where I live, in the far NW Chicago suburbs, so my chances of recovering it are pretty good. In fact, great. His stock price has now risen; despite having to pay a bit more for the book I’ve previously purchased, my return on investment may still be worthwhile. At the least, I’ll know he’s safely nestled back on my shelves. I’ll feel better, and he’ll be back where he was, gathering dust on one of my dozen or so bookcases. The Narrow Road to the Deep North, the book for which he won the award, is owned by a few libraries in our system, but not mine. Because it is so new, I can’t put it on hold, so can’t even request it until it’s seasoned a bit. As I’m determined not to purchase it, because I’ve restricted myself from buying so many books (I know…), I’ll content myself with the book we do have on shelf here at my library: Wanting. 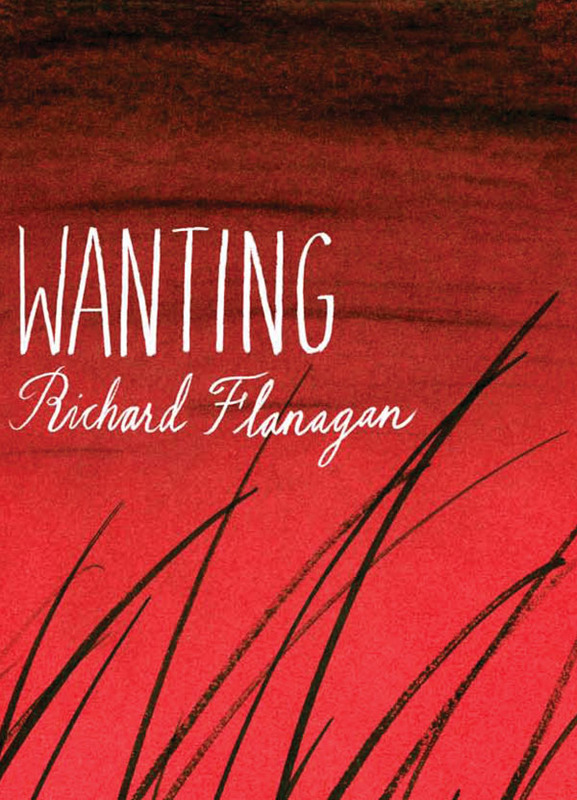 Internationally acclaimed and profoundly moving, Richard Flanagan’s Wanting is a stunning tale of colonialism, ambition, and the lusts and longings that make us human. Now in paperback, it links two icons of Western civilization through a legendarily disastrous arctic exploration, and one of the most infamous episodes in human history: the colonization of Tasmania. In 1841, Sir John Franklin and his wife, Lady Jane, move to the remote penal colony of Van Diemen’s Land, now Tasmania. There Lady Jane falls in love with a lively aboriginal girl, Mathinna, whom she adopts and makes the subject of a grand experiment in civilization—one that will determine whether science, Christianity, and reason can be imposed in the place of savagery, impulse, and desire. A quarter of a century passes. Sir John Franklin disappears in the Arctic with his crew and two ships on an expedition to find the fabled Northwest Passage. England is horrified by reports of cannibalism filtering back from search parties, no one more so than the most celebrated novelist of the day, Charles Dickens. As Franklin’s story becomes a means to plumb the frozen depths of his own life, Dickens finds a young actress thawing his heart. When his Man Booker winner becomes available I’ll try to make time to get to it. In lieu of that, this should give me a good taste of his work. If he proves especially worthwhile there are many other Flanagan titles available via interlibrary loan, which is good luck for my credit card, though not so encouraging for Amazon. In any case, good for him on his win. Huzzah!, and all that.